It being June now, the exhibition African Cosmos: Stellar Arts is now open at the Smithsonian National Museum of African Art. I’d love to go and see it myself, but unfortunately I’m slightly in the wrong country. Ho hum. All the same, for various reasons I have rather a vested personal interest in African astronomy. I’m currently working with data acquired by SALT, and the recent news about the SKA being constructed in both Africa and Australia means that the future looks bright for African astronomers! 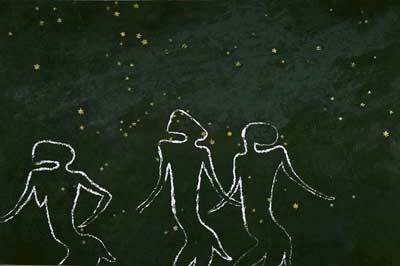 Anyway, for a wonderful blend of African art, culture, and astronomy, you should most definitely follow the Cosmos Diary blog and its associated twitter feed. Go, read, and be fascinated! This entry was posted in art, astronomy and tagged art, culture. Bookmark the permalink.